Found one file extension association related to S10 WebAlbums and 1 file format developed specifically for use with S10 WebAlbums. 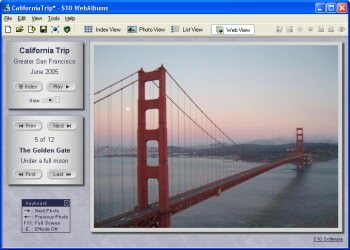 No HTML or other web skills needed; simply add photos and you instantly have a working web album. The rest is optional - titles/descriptions, custom colors/patterns/borders, basic photo editing, etc. When done, just save and publish. If you need more information please contact the developers of S10 WebAlbums (S10 Software), or check out their product website.